can we still get the utilities or no? If this thread is no longer useful, perhaps someone could edit the original post to suggest that as of a certain date the solution is no longer valid. Also, this thread could be unstickied. 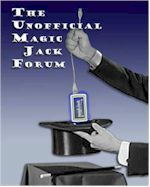 Can MagicJack Utilities be used to find SIP password for Linksys SPA2102 ATA box? What happened with this activity? The rapidshare link dies in 2015. Where is the tool and does it still work?